What better way to kick off the month of July and chill out during the warm summer months than with a cool and refreshing party punch from BeatBox Beverages. 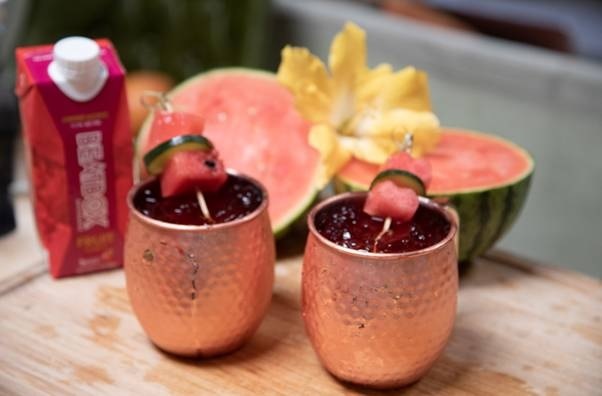 Whether you are grilling, throwing a summer soiree, relaxing poolside or looking to cool off on a hot day, BeatBox Beverages has you covered, enjoy chilled on its own or with a mixer for their easy to make cocktails. Get the party started with BeatBox Beverages, available in three delicious flavors, Blue Razzberry, Fruit Punch and their newest flavor, Pink Lemonade. Did we mention BeatBox is low in calories, sugar and gluten free and comes in a eco-friendly box? Find you're closest store here to the get the party started. 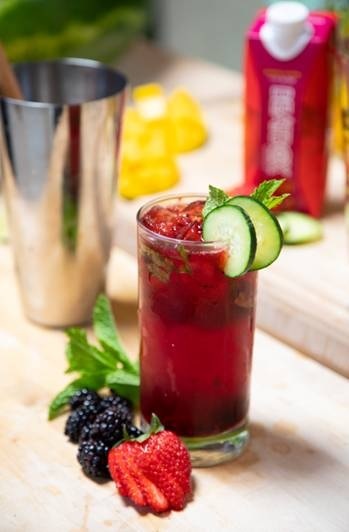 Check out some of their latest and easy to make concoctions, Blue Fresher, Watermelon Mule and the BeatBox Blackberry Mojito. These refreshing libations will be a way to impress your friends at home with your bartending skills. 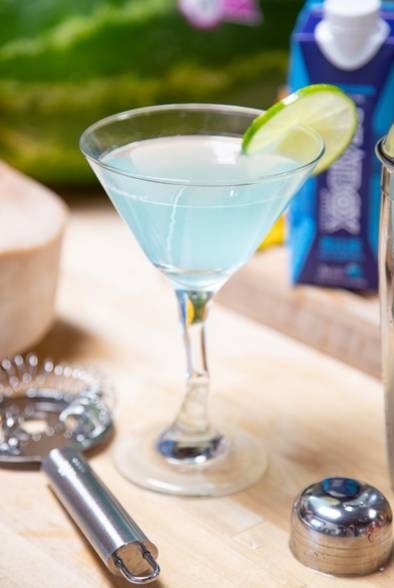 Method: Build all ingredients over ice in a shaker and shake and strain in a martini or coupe glass.